Since it’s inception in 1954, Brother has been one of the premier providers of home, home office, and business products that revolutionize the way we live and work. 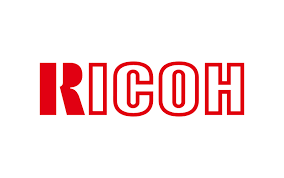 The company’s technological expertise and innovation over the past 70+ years has been a steady leading supplier of superior, technically user-friendly Ricoh’s early days as a company began in 1936, and their early product offering was actually cameras, prior to introducing their copiers, and then decades later, their digital and multi-function printers. The company is based in Tokyo, Japan, with over 97,00 employees and many regional headquarters throughout the world, including the US, UK, Middle East, China and South America. Their suite of product offerings include office printing, commercial and industrial printing. Ricoh’s proprietary injket technology has been evolving through extensive research and development since 1973 and is now used beyond the traditional office copiers and printers, in industries such as textiles, labels and packaging and 3D printing. Visit cash4toners.com 24/7 to sell your Ricoh genuine toner cartridges at top market prices, along with Free Shipping every day. Cash4toners.com is ready 24/7 to buy any of the following RICOH Genuine OEM toner and inkjet cartridges at top market prices, with the convenience and added savings of Free Shipping every day: Get cash for other big brand toner cartridges like Dell, HP, Konica, and Canon.